It has been an fun and crazy 10 days here in Park City for the 2014 Sundance Film Festival. The town is bursting at the seams with movie goers, film makers and celebrities. 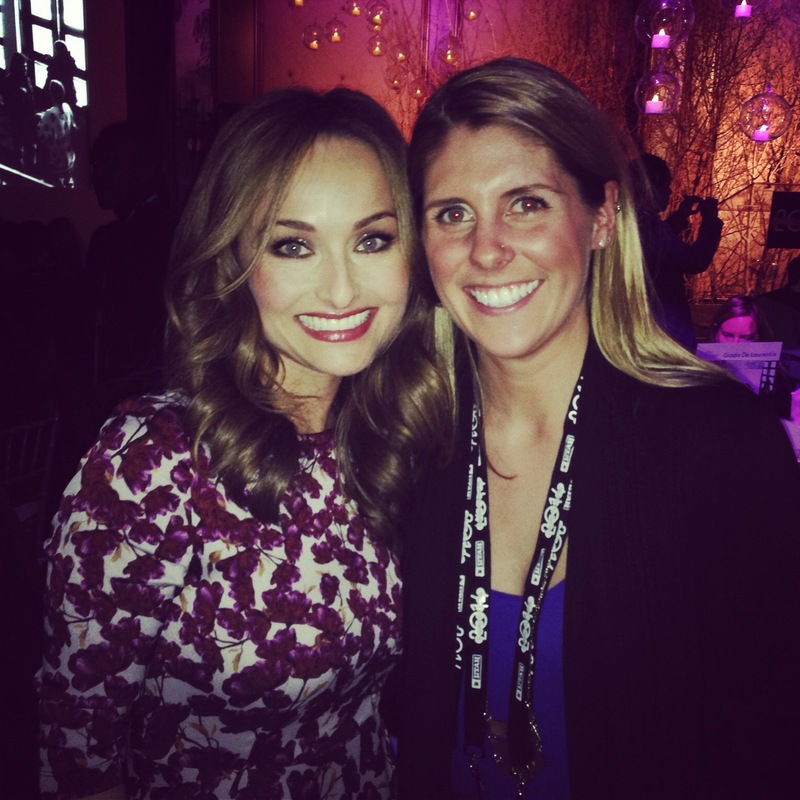 I was lucky enough to meet one of my favorite cooks of all time, Giada De Laurentiis! She has been my cooking idol for longer than I can remember and her cookbook, ‘Giada’s Kitchen’ was the first cookbook I owned! My obsession with Italian food, especially pasta, might have something to do with my grandmother living in Italy but it can also be attributed to Giada’s amazingly delicious dishes! 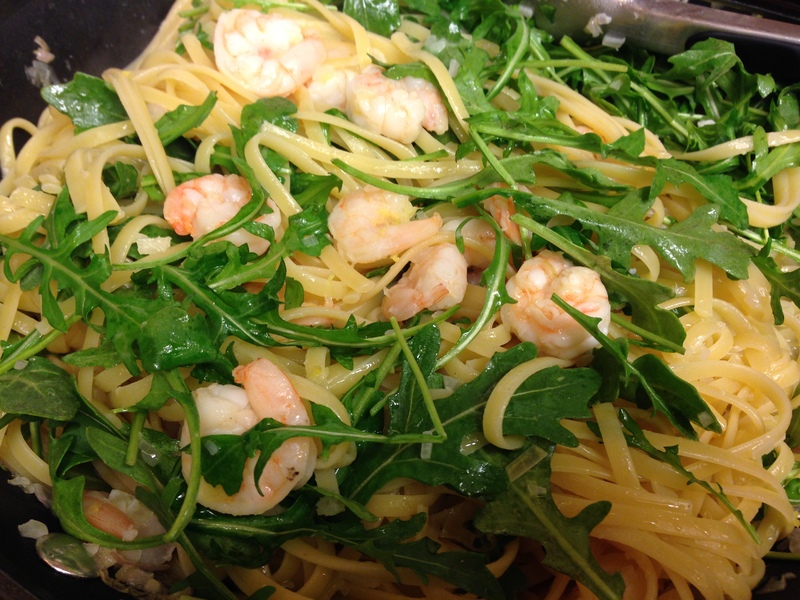 This recipe for linguine with shrimp and lemon oil is a light and delicious twist on your traditional shrimp scampi. Tossed with fresh arugula and lemon zest this dish is sure to please everyone at the table! This recipe can be found in ‘Giada’s Kitchen’ cookbook, enjoy! Combine the olive oil and the lemon zest in a small bowl and set aside. Bring a large pot of salted water to a boil over high heat. Add the pasta and cook until Al dente (tender but still firm to the bite) stirring occasionally, about 8 to 10 minutes. Drain pasta. Meanwhile, in a large, heavy skillet warm the olive oil over medium heat. Add the shallots and garlic and cook for 2 minutes. Add the shrimp and cook until pink, about 5 minutes. Add the cooked linguine, lemon juice, lemon zest, salt, and pepper. Toss to combine. Turn off the heat and add the arugula. Using a mesh sieve, strain the lemon zest out of the reserved lemon olive oil and add the oil to the pasta. The zest can be discarded. Add the chopped parsley to the pasta and toss to combine. Garnish each plate with freshly grated Parmesan. Serve immediately. 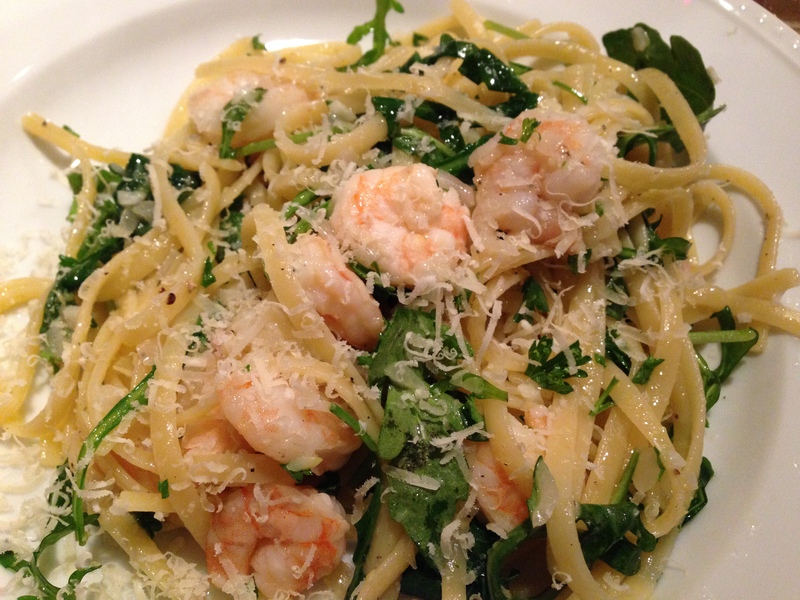 This entry was posted in Entrees, Recipes and tagged Giada De Laurentiis, Linguine with Shrimp and lemon oil, pasta, Shrimp, Shrimp Scampi by skibootsinthekitchen. Bookmark the permalink. That looks delicious! Makes me hungry, and I just ate dinner! I would love to meet Giada deLaurentis, is she as bubbly in person? She is just as bubbly in person as she is on TV!